When you are in the process of having your roof replaced, one of the questions that always comes up is whether you want to replace your gutters at the same time. A roofing contractor can remove and replace or repair your gutter system at the same time as they replace your roof. However, there may be good reasons not to have your gutters replaced at this time. 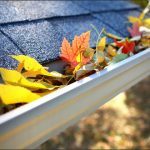 If you take some time to learn about what kind of gutter system you have and the benefits of having it replaced, you will be in a much better position to decide. Pro: You can upgrade your whole roofing system. One of the positives of replacing gutters at the same time as your roof is that you will have an updated system that you know works together. This is especially true if you are able to upgrade to a seamless gutter system from an old one with seams. It will make your new roof a lot safer and more efficient. No gutter system is 100% leak proof, but the upgrade could make a huge difference. Having an old or leaky gutter system could impact your roof’s performance. It could also allow water into your home or near your foundation and cause significant problems in the future. Con: You may not need new gutters. You don’t have to have new gutters installed just because you are having a new roof installed. If your gutter system is in good shape and they aren’t near the end of their usable life, it is okay to keep the ones you have. Pro: Roofers don’t have to work around an existing gutter system. One good reason to replace your gutters if you need to is that an existing gutter system does pose more of a challenge for a roofer. This is because they have to work around your gutter system as they install your roof. Gutters are made of a light material – usually aluminum or coated steel – and they are easily bent. A good roofing company should be used to this. However, it does take more time to be careful not to damage your gutters. Con: Replacing gutters will increase the cost of your project. You won’t be getting new gutters for free. The fact is that new gutters will add to the cost of the new roof. This is true especially if you have any rotting fascia that needs to be replaced before a gutter system is installed. If this is the case, however, you definitely want to get that fixed. If your gutters are nearing the end of their lifespan anyway, adding a new gutter system to the financing you already have in place for your new roof may be worth it. You will have peace of mind knowing everything should last a long time and work well together. Pro: You can match your roofing material and gutters. Seamless gutter systems now come in many colors. 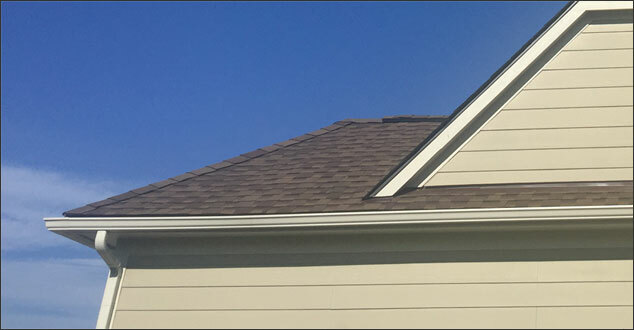 Whether you want to match the color of your roof to your gutters, or if you want to clean up the look of your house with fresh, white gutters instead of your old brown ones, you have the option of making those color choices if you choose to replace your gutters at the same time you replace your roof. Your roofing contractor should be able to give you comprehensive information about the cost and additional work of replacing gutters when you replace your roof. We would be honored to answer questions about this or any other subject related to your new roof. If you are located in Southeast Michigan, please contact us today.